In trying economic conditions, it is the chief financial officer (CFO) that the CEO and the company look to for quick fixes as well as long-term strategic direction. 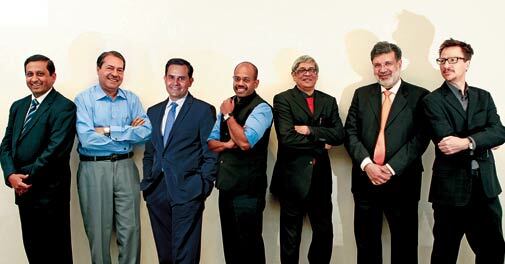 If one could pick the brains of the country's best CFOs, many a nugget of wisdom would be unearthed. And so, as the Business Today-YES Bank Best CFO Survey & Awards entered its third year, we decided to use the platform to share the winning CFOs' views on how they manage company finances when times are tough. Of course, in order to get the CFOs' views, we first have to find them - a process that is exhaustive as well as exciting. Every year, the best CFOs survey brings some changes. This year, we introduced two new awards - Best CFO of an MNC, and Best Woman CFO. The CFO of a multinational company needs to manage his responsibility to the parent company while keeping local markets and needs in mind. And the award for best woman CFO will not only recognise the financial wizardry of the current generation of women CFOs, but also encourage more women to aspire to that role. Intense competition among peers means that each year's roster of winners differs significantly from the previous one. For instance, last year's overall winner, L&T, whose CFO Y.M. Deosthalee has since moved up to become CMD of L&T Finance Holdings, could not make it to the second round this year. Ditto Maruti Suzuki, which was edged out in its sector, though it did make the top 10 MNCs list. One of the factors that hurt Maruti's chances was a fall in profitability, an area where rival Tata Motors excelled. For starters, the BT500 listing of India's most valuable companies - ranked by market capitalisation - was taken as the respondent base. For the woman CFO category, we considered the BT1000 to get more names in. The award is aimed at inspiring more women to join the finance function. In phase one, the companies' financials over the past three fiscal years were analysed threadbare across multiple metrics. Then, peer comparison was done, and top performers from each sector were shortlisted for the next round. In phase two, market research firm Ipsos India undertook a perceptual survey of fund managers and brokers to assess factors such as corporate governance practices, and stock performance. The Triple Bottom Line (or corporate social responsibility) category was assessed by a separate panel of experts. This year, for the first time, we combined the companies' scores in phases one and two, using 50:50 weightage. After eliminating companies where the CFO had changed within the past three financial years, we arrived at the top three nominees in each category. This condition was relaxed for the women CFOs. The winners were decided by an eminent jury, which comprised Bibek Debroy, Professor at the Centre for Policy Research, Aditya Ghosh, President of IndiGo, Bhaskar Chatterjee, Director General and CEO of the Indian Institute of Corporate Affairs, Vivek Pandit, Director at McKinsey & Company and Mick Gordon, CEO of Ipsos India. Amit Kumar, Senior President & Country Head, Corporate and Institutional Banking, YES Bank, and Business Today editor Chaitanya Kalbag were moderators. Each jury member brought to the table his insight into the companies, the markets they operated in, and the competitive landscape, making for a stimulating discussion. And although some companies were nominated in multiple categories, the jury managed to pick a different company for each award. Only Tata Motors won two awards, Best Transformation Agent (large companies) and the overall award. The jury felt that CFO C. Ramakrishnan's exemplary handling of the Jaguar Land Rover acquisition, introduction of innovative products, efficiencies in working capital management, cost reduction and improved channel management along with CSR initiatives, helped him stand out. Like last year, the jury had good suggestions this year, too, to improve the survey process. But we will save those for next year. Till then, enjoy the spread - a profile of Ramakrishnan, pearls of wisdom from winning CFOs, and a fascinating story on "virtual CFOs". What's that? Read on to find out.